Are you looking for the best bathroom fitters Shaftesbury has to offer? As the leading supplier of commercial and domestic bathroom installations in the south west of England, look no further than Franks Group. Contact our friendly and helpful team by calling us on 01747 826656 today. A sleek and stylish bathroom adds great value to your property. Whether you’re after a contemporary, modern or more traditional bathroom, our highly-experienced and talented design team can create bespoke designs tailored to your needs and budget. We provide the best bathroom fitters Shaftesbury has to offer and can guarantee that your bathroom is installed to the highest quality. As well as bathroom installation, Franks Group offers high-quality kitchen fittings for commercial and domestic properties across the South West of England. Whether you’re looking for a sleek and stylish addition to your home, or a highly practical kitchen for your commercial premises, we offer a bespoke kitchen design at competitive prices. Our kitchen design and installation service includes a range of kitchen designs, painting and decorating, tiling and electrical plumbing. Has your boiler broken down? Is your roof leaking? At Franks Group, we offer a 24/7, 365 days a week reactive emergency repair and maintenance service for both commercial and domestic buildings. Our prompt and reliable service means that, whatever your property repair needs, you can rely on Franks Group to get your premises as good as new again in no time. With a range of repair services, which includes toilets, windows, doors, guttering and much more, we’re you’re number one option for Shaftesbury bathroom fitters. Looking to enhance the look and feel of your home? At Franks Group, we offer a complete home refurbishment service to give your property a new lease of life. From loft conversations to roofing repairs, no project is too big or small for us. We’re proud of our reputation for completing every job we undertake to the highest standard, and can guarantee you’ll be satisfied with our service. Our Shaftesbury bathroom fitters can adapt their many skills to suit your needs and requirements, so give them a call to find out more about our home refurbishment service today. Are you in need of scaffolding, and fast? At Franks Group, our mobile scaffolding is safer, quicker and cheaper than other forms of scaffolding used and can be installed quickly and safely. Our portable scaffolding is perfect for use in small and hard to reach spaces, and our bathroom fitters in Shaftesbury are all PASMA trained for your complete peace of mind. Looking to add something extra to your garden? Or just looking to resurface your driveway? At Franks Group, we offer a complete hard landscaping and paving service and offer a wide choice of paving and driveway surfaces in all colours and forms. From garden redesigns, landscaping, and garden maintenance, we offer the highest-quality range of landscaping services to suit your individual needs and budget. Are you looking for an efficient and effective facilities management service? At Franks Group, we offer a full facilities management service for the commercial and industrial sector; from holiday lets to retail outlets, industrial estates, industrial units, factories and much more. We also offer a 24/7 service for all of your building maintenance requirements, ranging from plumbing, electrical work and structural repairs. To find out more about our facilities management services, contact our friendly and helpful bathroom fitters in Shaftesbury today. At Franks Group, we understand how frustrating it can be if you experience a boiler breakdown. That’s why we offer a 24/7 call out service to ensure your peace of mind. We also offer a range of plumbing and heating services, including landlord Gas Safety CP12 certificates, hot water cylinders/tanks, solar heating and heat pumps and underfloor heating. If your boiler was installed before April 2005, contact our friendly and helpful team for a no-obligation quote about upgrading to a higher efficiency boiler. We offer reactive emergency response repairs and planned electrical maintenance for all South West based electrical installations. With our 24/7 emergency call out service, you can rest assured that our bathroom fitters in Shaftesbury will get all of your electrical repairs and installations running smoothly again in no time. Here at Franks Group, we pride ourselves on offering the best bathroom fitters Salisbury has to offer. With a 24/7 call out service, guaranteed quality craftsmanship and fully NICEIC Approved Contractors, we’re your number one choice for bathroom installation. 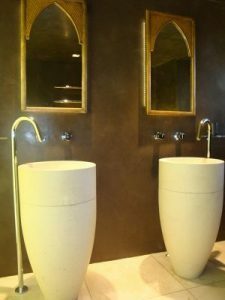 If you still need convincing that Franks Group are the best bathroom fitters Shaftesbury has to offer, have a look at our gallery and case studies. 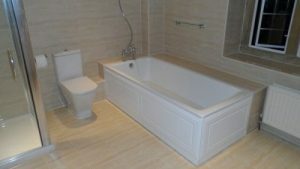 Contact the best bathroom fitters Shaftesbury has to offer by calling us on 01747 826656 today. Alternatively, you can email us at info@franksgroup.co.uk or fill out our simple online form, and we’ll get back to you as soon as possible.